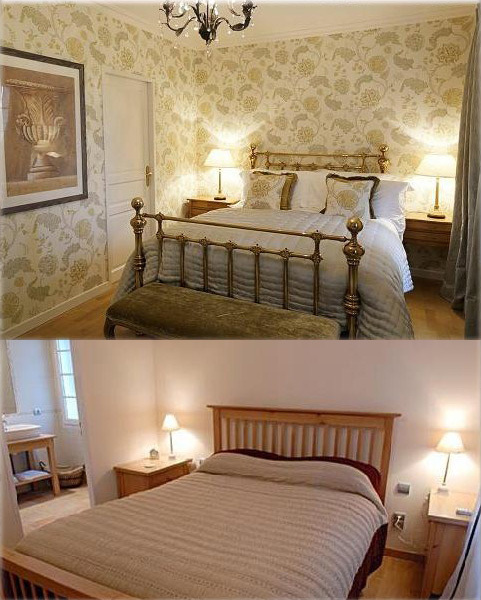 This Beautiful French chateau was a dream job, the rooms were bare but in great condition. Our brief was to turn a very plain boring interior (we are OVA magnolia) in to the perfect French relaxing country house. The only challenge was that we had 6 weeks…. Oh and that included shipping to France! We have great relationships with our craftsmen here so with such tight timescales it was best to have most of the bespoke items made in the UK. 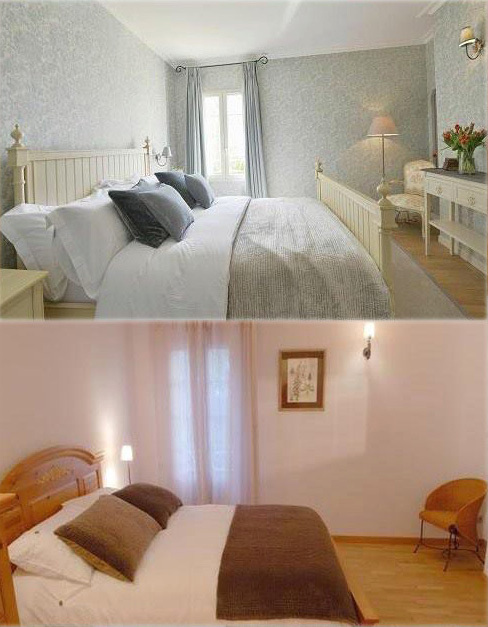 Before and After of the blue bedroom – from boring to calm relaxing and luxurious…..
Before and after of the yellow bedroom – stylish, sophisticated and opulent. 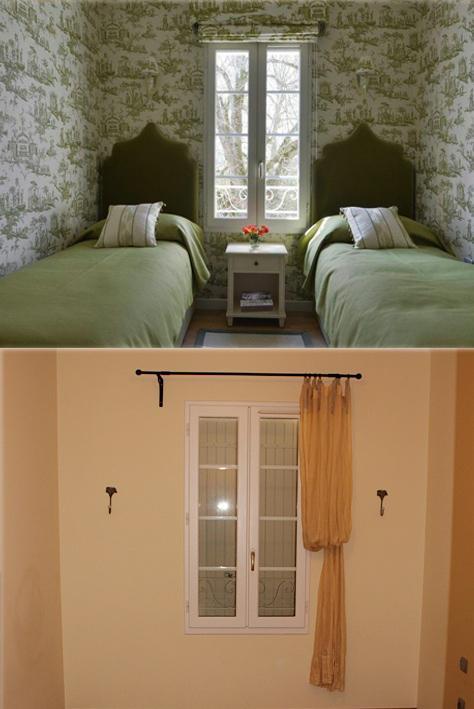 And….. Top of our love list is the before and after green toile room.